Please note that this current website does not have a shopping cart. 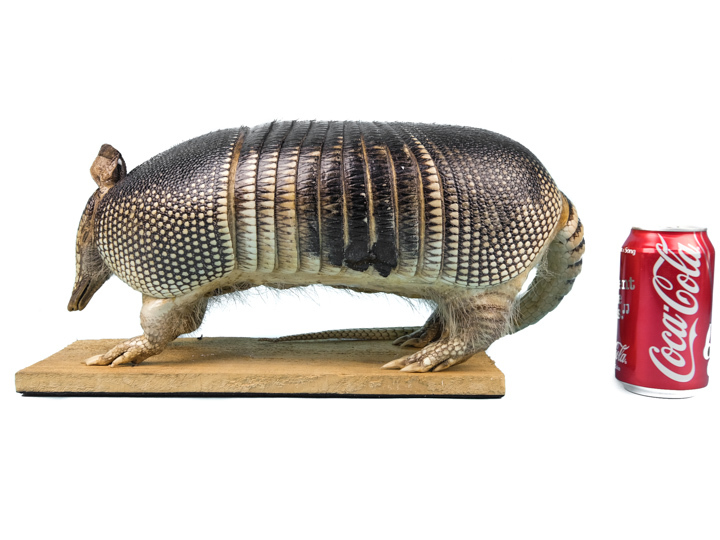 To buy our Mounted Armadillos online, please go to our e-commerce website at NaturalExotics.ca. 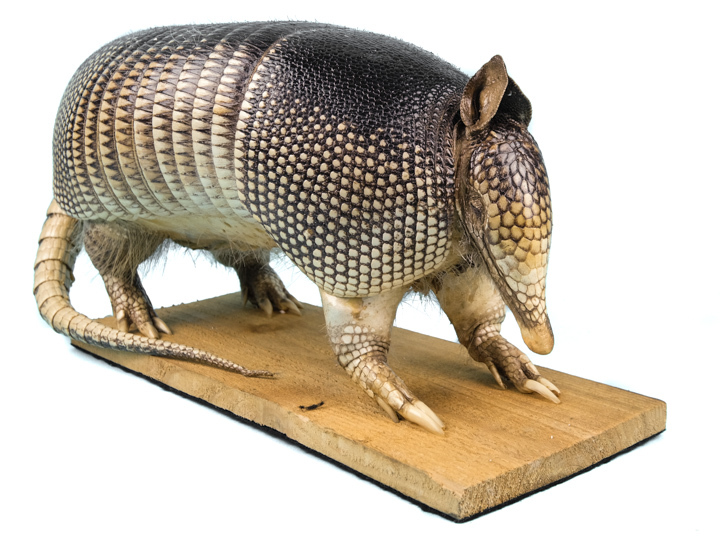 These are genuine nine-banded armadillo mounts on a wooden board with a felt bottom. As these are natural products, sizes will vary. We measured one to be approximately 17" long, 6.5" wide, and 7.6" high, and weighs 3.98 lbs. See our gallery for available mounted armadillos. Nine-banded armadillos are not an endangered species and are not subject to CITES controls.